Today I was faced with a question that persuaded me to try a bit of technology I haven’t used too often yet. I had to set a specific field to a specific value for a large amount of work items. Of course there are multiple ways to achieve that, like using Excel or writing a little application using the TFS API. I decided to brush up on my PowerShell skills and write a script for this purpose. One of the cool things about PowerShell is that it lets you load any .Net assembly by using the Add-Type cmdlet. You can then use the classes defined in that assembly inside your PowerShell session. 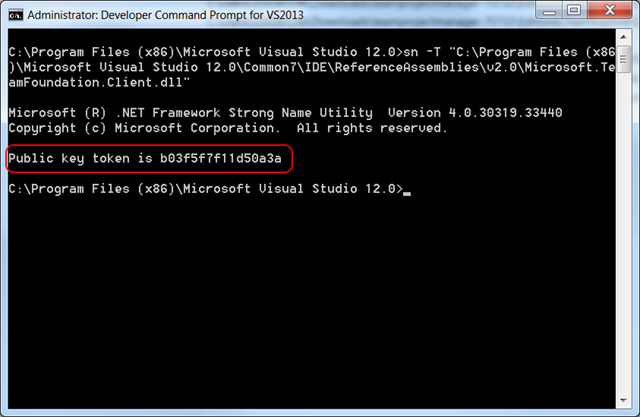 This opens up a wide range of possibilities, one of them being that you can use the TFS API from PowerShell! Add-Type -AssemblyName "Microsoft.TeamFoundation.Client, Version=12.0.0.0, Culture=neutral, PublicKeyToken=b03f5f7f11d50a3a"
Add-Type -AssemblyName "Microsoft.TeamFoundation.WorkItemTracking.Client, Version=12.0.0.0, Culture=neutral, PublicKeyToken=b03f5f7f11d50a3a"